Rose Hill is unquestionably one of the most beautiful public cemeteries in the world. The cemetery is part of a self-guided walking tour of Macon and is the site of the bi-annual Rose Hill Ramble sponsored by the Middle Georgia Historical Society. It was designed by Simri Rose for the express purpose of being a place to visit and as a gathering place for Maconites and visitors to the city. Its layout, greenery and monuments have provided inspiration and reflection. 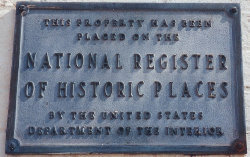 Rose Hill is on the National Register of Historic Places. 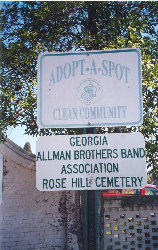 In the late 80’s, individual fans of the Allman Brothers Band found that they were visiting the gravesites of Duane Allman and Berry Oakley. They also found that they each were doing a little to help keep this area of Rose Hill clean from the debris of less respectful fans and the ravages of time. 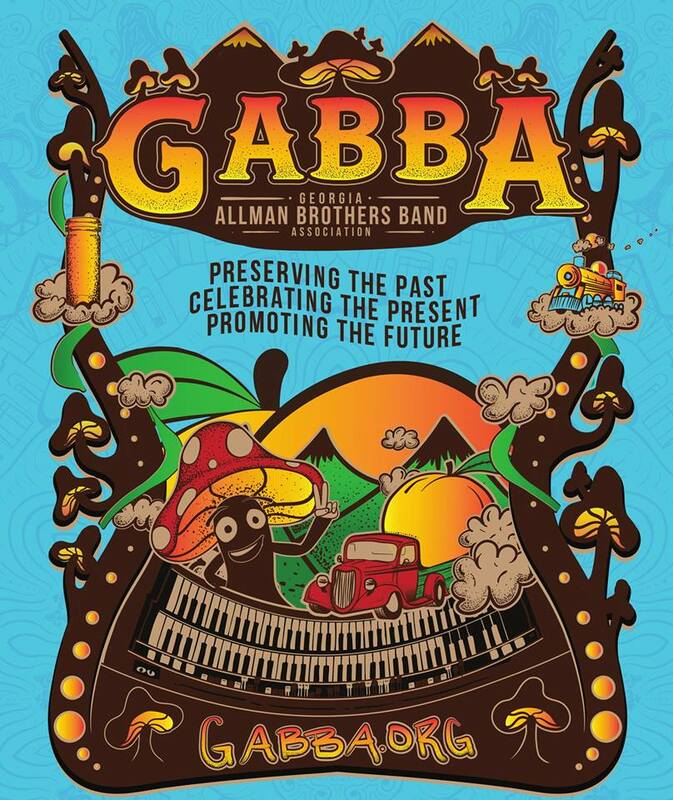 GABBA grew out of these individual efforts to show respect for Duane and Berry to saving and preserving local Georgia monuments and mementos that had a part in the early formation of what would continue 30 years later with the Allman Brothers Band. The desire to show Duane and Berry that they had not been forgotten grew into showing that same respect to all of the people who have been laid to rest at Rose Hill and their families. GABBA then joined the “Adopt a Spot’ program and adopted all eighty acres of Rose Hill. In GABBA’s effort to stay true to its charter, we’d like to again remind everyone that this and any cemetery is a place for respect. Respect for the departed and those who they left on this earth. If you visit Rose Hill and locate Duane and Berry’s graves on your own, we ask that you respect some efforts to provide security for the graves. Please view the graves from the road and do not walk around them, touch the stones, party around them, eat or drink and leave garbage, or any other such disturbances. Due to people doing these things in the past, there have been efforts to restrict everyone’s access to the graves. As an association of fans, we respect the families involved, and cannot give directions to their graves. Even though the Brothers partied in Rose Hill when they lived in town, you don’t have to as well. Remember that there are a lot more ABB fans than there were ABB band members, and we can cause a lot more wear and tear than we think, collectively. 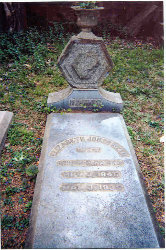 Visit the cemetery with respect and keep the history and dignity of the place intact. That’s the least we can do to honor the memory of Duane, Berry and all concerned. Also, watch GABBAnet for notices of Rose Hill cleanup days. Join us if you don’t live too far away. All ABB fans are welcome to help. It is a big job, but the more people we have there, the easier and more fun it is. We welcome your contributions to help with our efforts to keep Rose Hill clean and to make needed improvements to the cemetery. 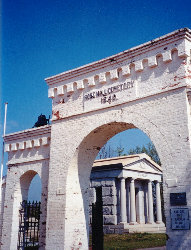 GABBA is a registered non-profit historical foundation. Contributions are tax-deductible. top to bottom on this page: front entrance on Riverside, the Rose Hill NRHP plaque, Little Martha grave, Rose Hill’s Adopt-A-Spot sign, Elizabeth Reed Napier grave. Front gate, Register, and Adopt-a-Spot photos courtesy of Michele Jones. 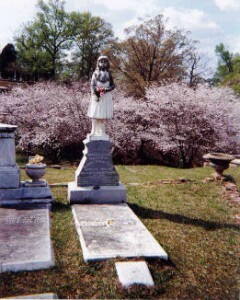 “Liz Reed” Napier and “Little Martha” Ellis grave site photos courtesy of Martha Jones Long.